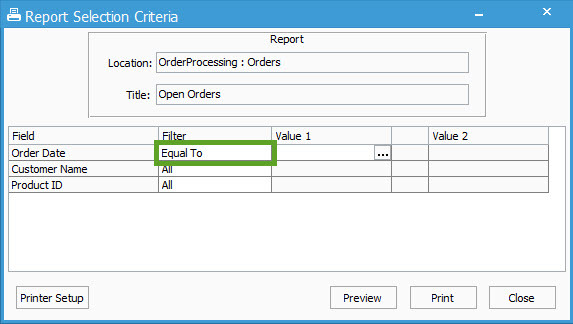 When you have a report with a Selection Prompt for a field with the type of ‘Date‘, using the Required checkbox defaults the filter to ‘Equal To‘. This means that you will be required to use an exact date on this selection criteria when pulling the report. You will not have the normal options for date ranges or other values.